The hacking begins and so has my nightmare. Even after checking up and down. Looking at the house original print and also asking the developer. We still ended up with a HUGE column where we least expected it. sighhh…. We had expected that there would be one column on this wall and it was the column 1. However, to our SURPRISE, there’s a column numero 2 !!! AND look at the SIZE of this column… sigh. ALL the previous pain-staking design, calculation and layout is throw to the bin. It’s back to square one again. A word of advice for future house owner. 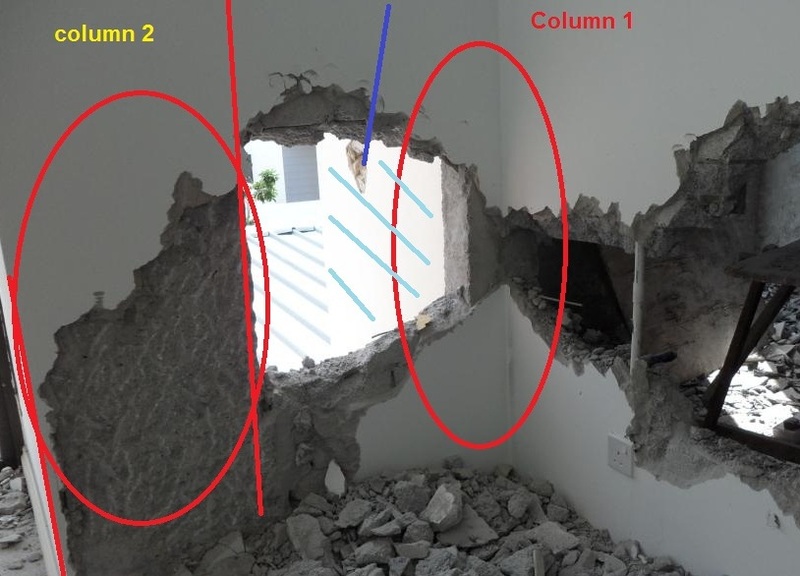 If you are planning on doing alot of extension, it might be better to get your contractor to punch a whole thru the wall on specific places to acertain before you do your layout.